First things first: let’s check out the start screen. 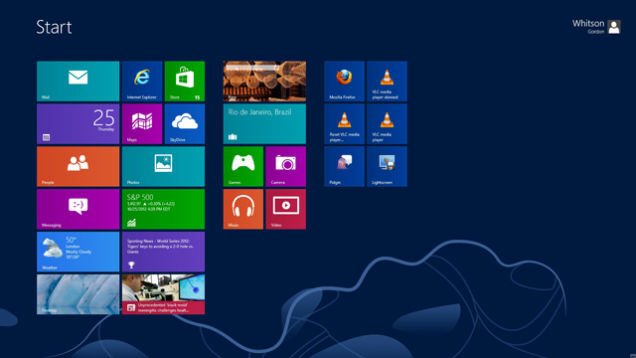 You’ll see a grid of tiles which represent the different applications on your computer. Each tile will give you some information so you can get a quick glance into what’s going on with your email, messaging apps, etc. You can customize your Start screen so it shows you just what you need. And you can easily switch back to Desktop mode by pressing Win + D or just clicking on the desktop. One great feature of Windows 8 is the full-screen apps that give you a better experience of using your programs, while still being able to check out what’s going on with other things. For example, you can have a video running full-screen while your news feed is docked to one side. Windows 8 really caters to multi-taskers, as you can have many apps taking up the screen at once but the interface is still quite easy to use. 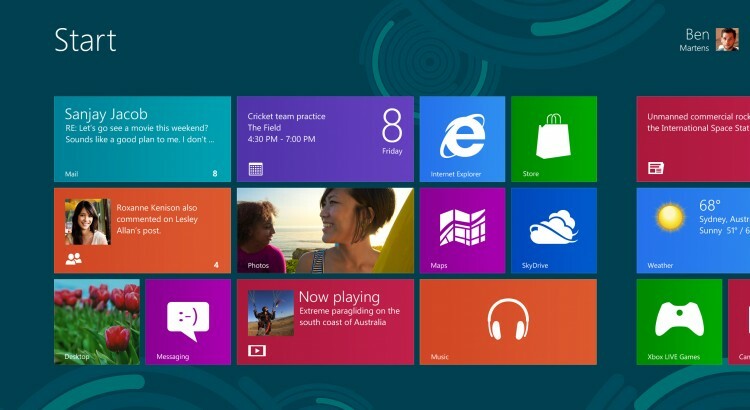 In Windows 8, your Microsoft account will help ensure that all your data is synced up with the cloud. This is important in case anything happened to your hard drive. And your data will also be synced between Windows 8 PCs so you can easily open the same data from one computer to another. Windows 8 has taken even higher security measures than the previous versions, to keep you protected from viruses that can take over your computer. The Windows Defender antivirus app is built right into Windows 8 so you don’t even have to worry about installing any kind of antivirus software. Spellchecking comes systemwide on Windows 8, so forget about clicking on certain tools or apps to make sure you’re good to go. And the search function is super easy to use, so you can find anything from your favorite music to your contacts or browsing history in one click. And Windows 8 has a new Task Manager that’s easier to use so you can easily see what’s running on your computer.